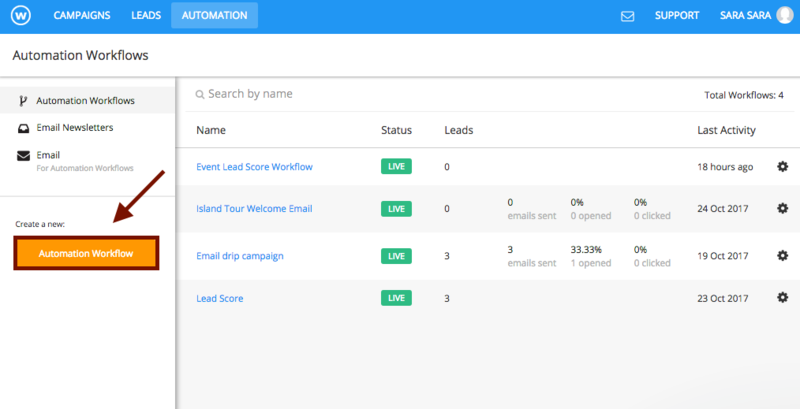 Use automation workflows to set up email drip campaigns that span over any amount of time. 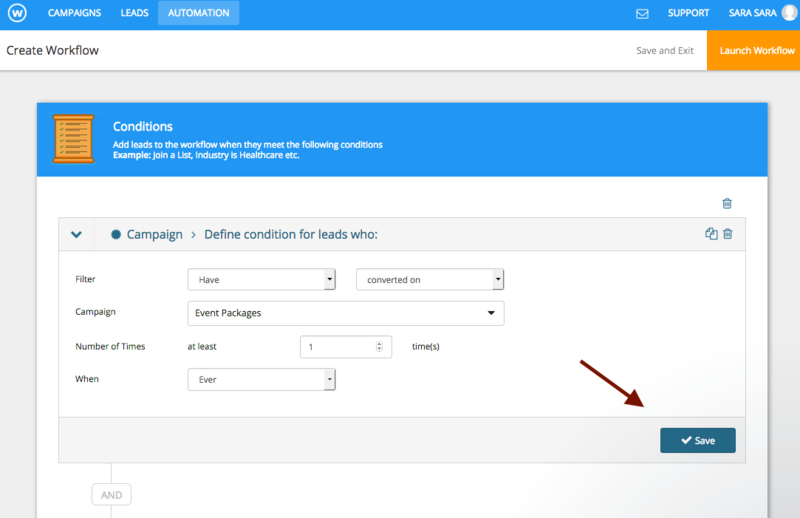 3) Choose my campaign from the drop down menu and specify how many times they need to have converted in order to be eligible. In this case I selected one time ever. Press “Save”. 4) Scroll down and configure the Condition Settings. 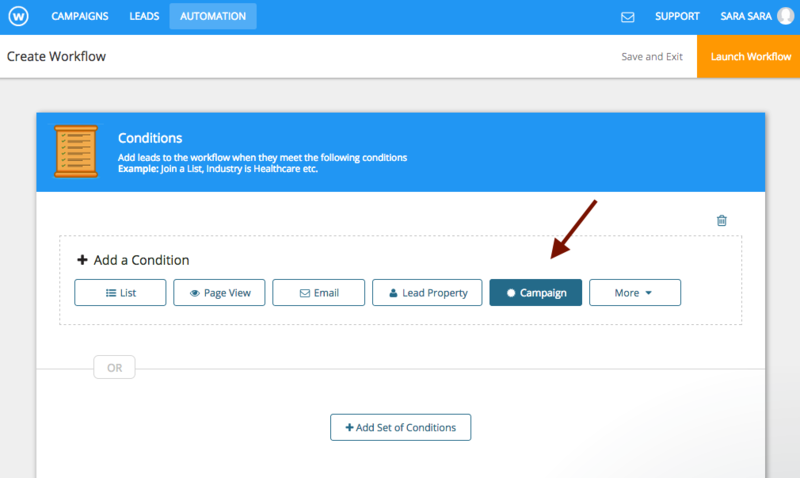 If I want the workflow to be active starting now I would leave “Add leads who currently match these conditions” unchecked. If I want to include everyone who has converted on this campaign until now in this workflow, I would check that box off. 5) Scroll down and set up the first actions category. I want the first email to be triggered automatically so I’ll select “Email” from the list of options. 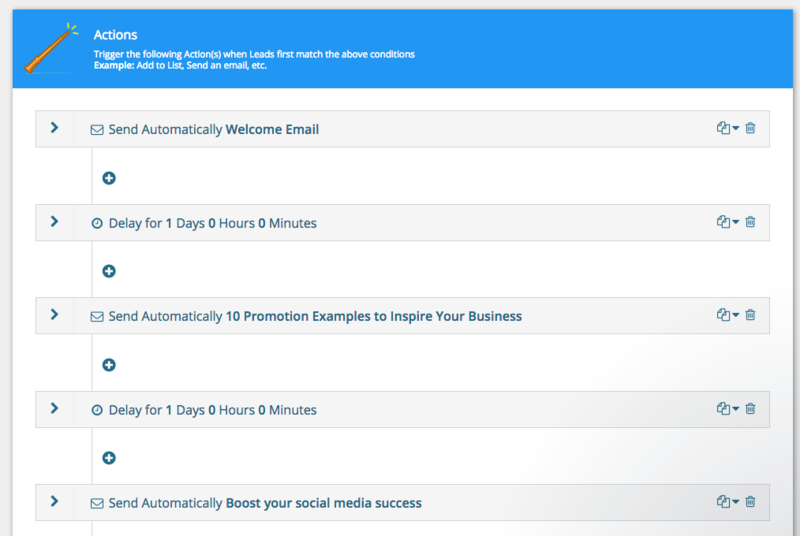 6) Select your email and whether to queue the email or to send it automatically. When you are finished press “Done”. 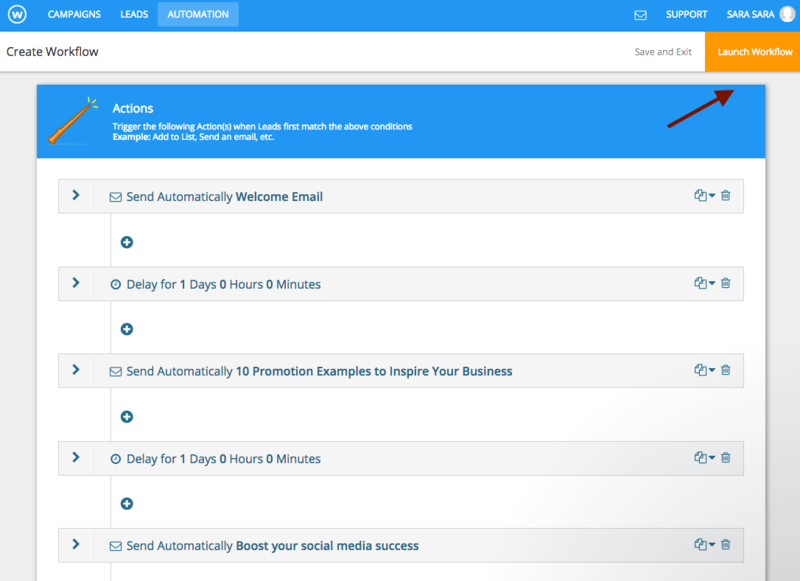 8) Use the toggle keys or input the specified amount of time between the first email and the second. 10) select your next email from the drop down menu and repeat this process of email then delay until you have set up all of the emails you want to send. 12) Name your workflow and press “Launch Workflow”.